The Family Box edition of the 2012 “Spiel des Jahres” winner includes the basic game plus one expansion and two Queenies! sectors to build the map, ensuring you won’t play the same game twice! 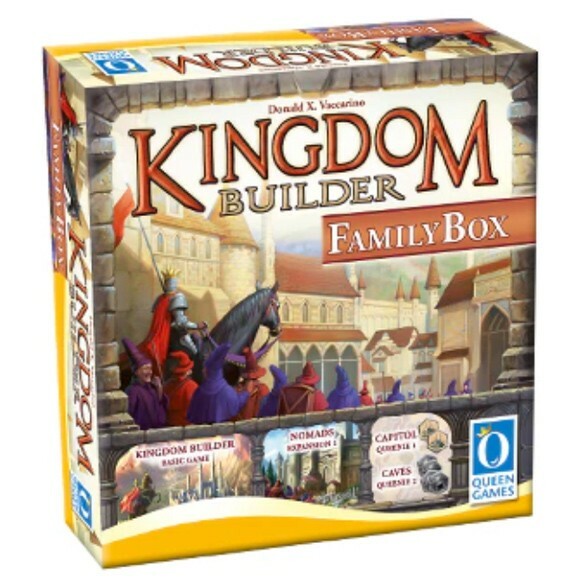 The three Kingdom Builder cards specify the conditions which must be met in order to earn the desired gold.